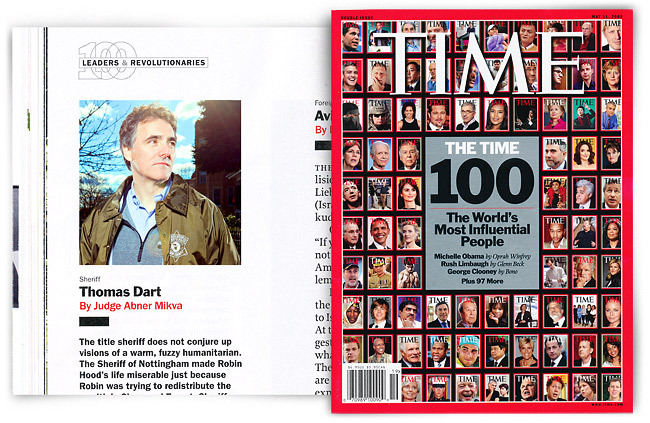 Congrats to Chicago's own Tom Dart for being included in TIME Magazine's 100 Most Influential People in the World. I had a chance to photograph this image Tom back in the beginning of winter. Don't let his friendly, calm and approachable personality fool you. He's a power hitter when it comes to snuffing out the bad eggs in Chicago. Be sure to pick up a copy and read the other 99 compelling stories behind this list.